Wherever and whenever you sunbathe – with the right sun cream, you’re sure to be perfectly protected. Knowing your skin’s needs will ensure you survive the sun safely. We have developed a range of products providing reliable protection and the best care for your skin – your skin’s needs are paramount. 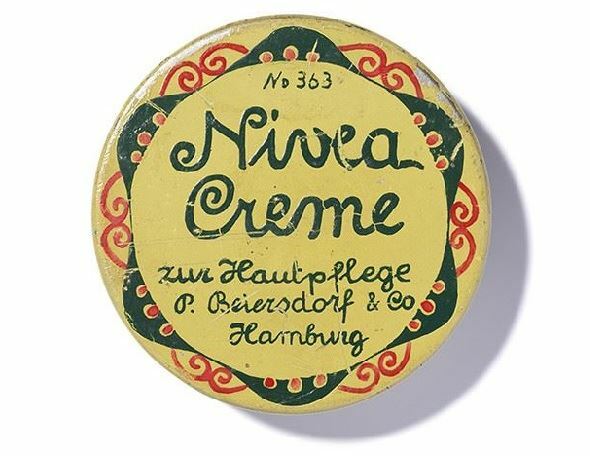 NIVEA SUN products are highly effective and pleasant to use, too. We’ll show you how to apply sun cream properly and how to enjoy the sun without putting yourself at risk. All NIVEA SUN products have photostable, i.e. light-resistant protection. The skin’s natural protection against UV rays is maintained if you use the right sun cream, even in blazing sunshine. As creams can rub off when they come into contact with sand, water, towels or sweat, you should reapply them every two hours. What does the sun protection factor (SPF) mean? The skin’s inherent protection time is the individual amount of time that the skin can be exposed to the sun before burning. The length of time the skin’s own natural protection lasts without sun cream depends on your skin type and is usually between 5 and 30 minutes. If you multiply the skin’s own natural protection time by the sun cream’s sun protection factor, you can calculate the length of time that you can spend in the sun without worrying. NIVEA SUN’s waterproof sun protection products are tested in accordance with an international standard method (COLIPA method 2005). After two 20-minute dips in the water, for example, the sun creams still maintain at least 50 per cent of their original sun protection factor. Our products labelled “extra waterproof” are twice as effective (4 x 20 min). The ‘extra long-lasting waterproof’ Swim & Play products for children provide at least 50% of the initial sun protection factor after 120 minutes’ bathing. For 3-5-year olds, the dose required is a line of sun milk the length of one to one and half middle fingers (e.g. NIVEA Sun Kids Moisturising Sun Lotion) or 5 to 6 sprays of NIVEA Sun Spray. For 6-10-year olds a line the length of one and half to two middle fingers or 7-10 sprays of NIVEA Sun Spray (e.g. NIVEA Sun Kids Moisturising Sun Spray). For older children and adults a line of sun cream measuring in length from the wrist to the end of the middle finger or 15 sprays. One dose should be used per arm and for the throat, face and neck region, and twice the appropriate amount for back, stomach and each leg. What’s more, for children up to five years old, twice the amount should be applied to the face, neck and throat regions, as the head is over-proportionally large in small children. Very important: apply a new protective layer with cream early on. The sunscreen should be reapplied every two hours and always after bathing as sun cream can be worn off by sweating, water and playing. But take care, reapplying the sun cream does not mean that the level of sun protection starts anew: reapplying cream means that the skin’s natural protection period is maintained. Very important: use the correct amount. This is the only way that the specified sun protection factor will be achieved. You should also ensure that from the outset you choose a sun protection factor that will protect your skin throughout the day. When applying sun cream, do not forget areas that are difficult to reach like ear lobes and the soles of your feet! Highly effective UVA/UVB protective system, waterproof, immediate protection on application, dermatologically approved compatibility with skin. What does immediate protection mean? After application, all NIVEA SUN products offer immediate protection from sunburn and premature ageing. “Immediate protection” means that the specified UVA and UVB protection is guaranteed directly after application and that time does not need to pass until it starts to work and protect the skin. After applying the sun cream you can enjoy the sun immediately. Nevertheless, you should ensure that you apply cream before you go outside, because you will be exposed to a large quantity of UV rays on the way to the beach. Can I extend the period of sun protection by ‘topping up’ the sun cream? The protective effect will not be extended. Once you have selected an SPF, this will determine how long you can stay out in the sun without damaging your skin. Reapplying the cream (after drying off, swimming, etc.) helps to maintain the desired level of protection but it does not increase it. What is the shelf life of sun protection products? In the case of unopened products, they have a shelf life of at least 30 months. You can find out the shelf life after opening on the back of the product. There you will see a symbol in the shape of an open jar with a number. The number indicates the shelf life in months once the product has been opened. It is usually 12 months.